A beautiful new website for an upscale home builder. Design a website that expertly portrays their various services and appeals to their higher class clients. 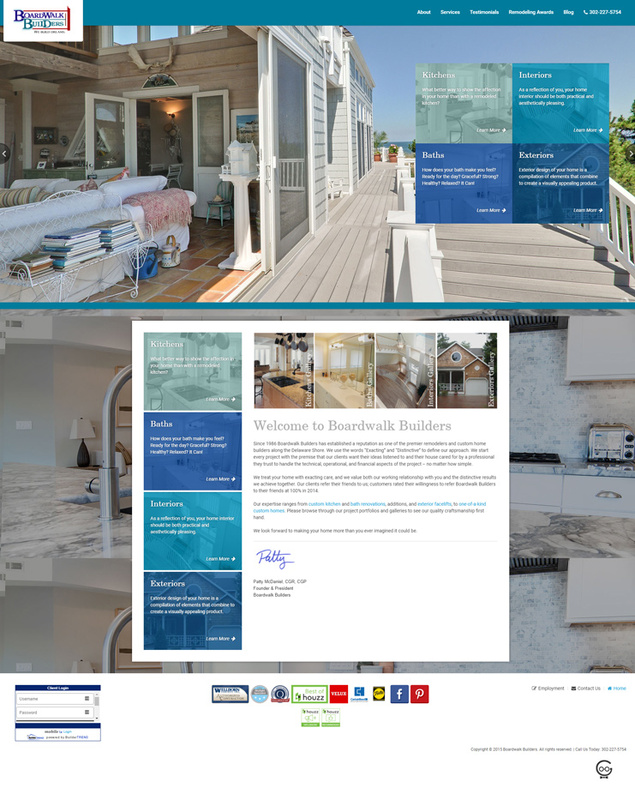 Techno Goober delivered a custom design that shows off Boardwalk Builders' existing home remodels and renovations in a simple yet elegant way.